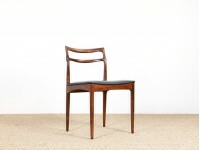 In 1922 Johannes Andersen had done his apprenticeship and got his certificate as a skilled cabinet maker. 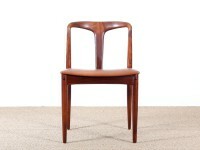 He worked for several years in various workshops. 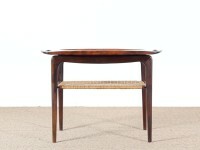 Over these years Johannes designed more and more pieces of furniture, and in the middle of the 1930's he started his own architectural workshop. 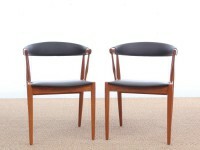 Danish furniture now began to be internationally reputed. 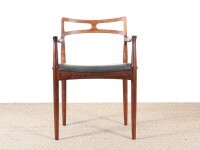 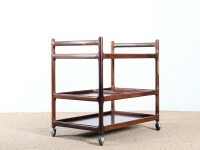 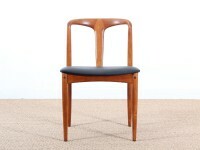 Johannes also worked with Swedish and Norwegian furniture factories. 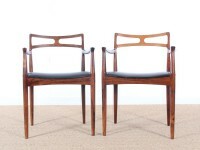 Johannes Andersen designed several pieces for the Swedish furniture manufacturer Trensum. 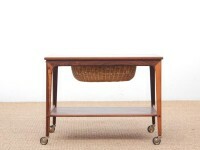 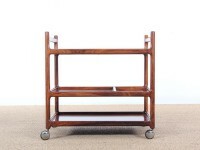 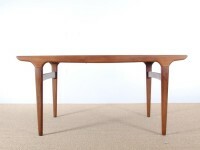 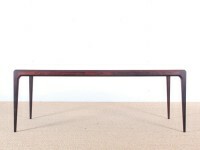 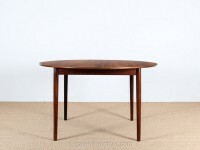 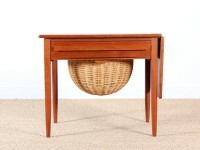 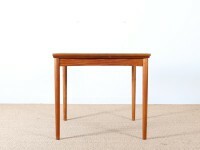 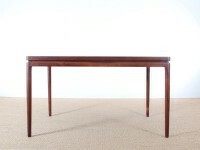 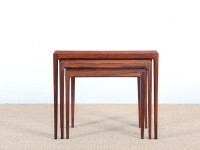 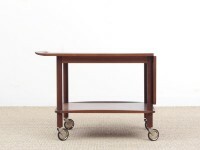 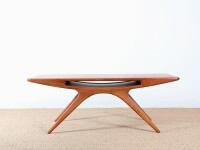 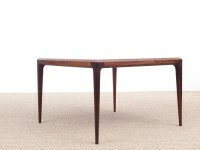 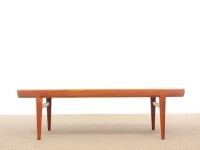 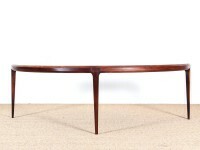 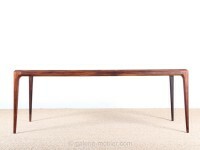 Among other things he designed a series of coffee tables in organic shapes made of rosewood and teak. 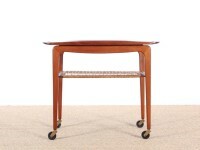 His sofa and sofa-table series "Capri" is the amongst his most sought-after designs. 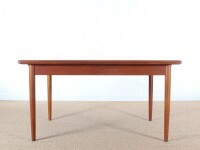 The great boom was for him when the Danish working class during the late 1950s and 1960s began to get better off and move into new houses and buy new furniture. 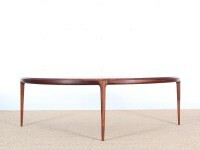 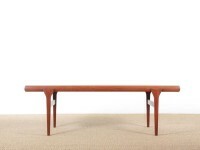 Johannes Andersen's best known designs are coffee tables in a almost innumerable variations. 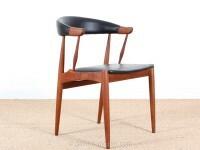 So when he at the age over 80, closed down his drawing office he had become a worldwide known and appreciated furniture designer. 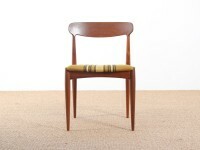 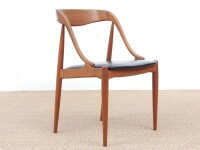 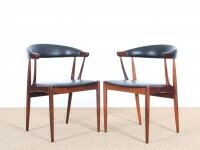 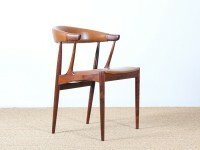 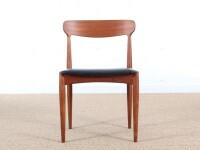 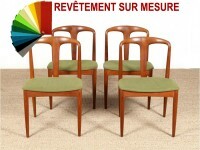 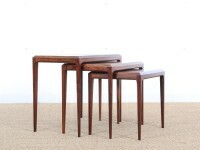 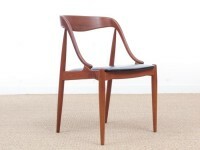 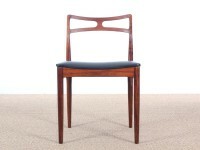 Set of 4 Scandinavian teak chairs model Juliane.